They say a picture can be worth a thousand words. 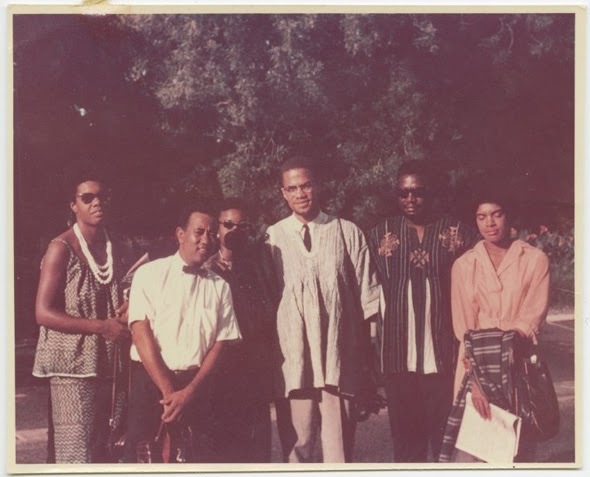 If you knew the history behind this particular picture of my Aunt Alice and Malcolm X then I would say that is definitely an understatement. Whenever I look at this picture I always wish that darn shadow was not there blocking her features. Everyone else can be clearly seen except for her. Yesterday evening I was privileged to hear her speak on Malcolm X and her connections with him during a lecture at the Progressive Emporium and Education Center in Saint Louis, MO. 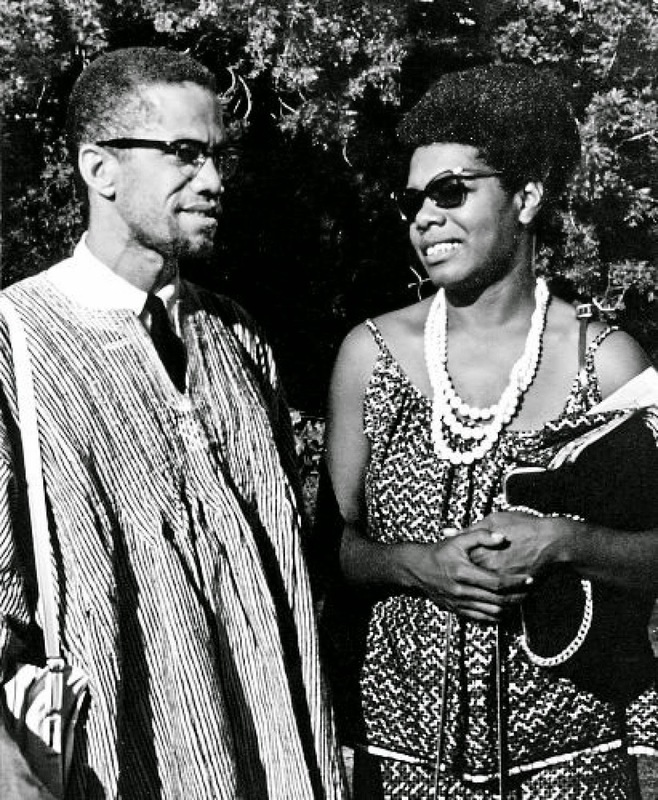 Back in 1964 she along with Maya Angelou were his guides while he was in Ghana. Now ever since I was a teenager I had heard about her meeting Malcolm X but I never knew the full depth of that connection. Not until yesterday. My Aunt Alice was also a photographer. 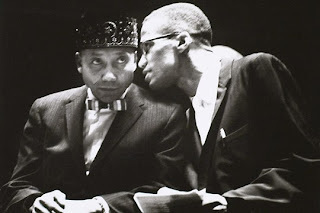 She has taken some amazing pictures in her life of her travels but the ones of Malcolm X I would say are probably her most famous. I'm sure people have seen the pictures but have not had a clue of whom the photographer was behind those shots. My Aunt Alice informed me that when she took this picture she and Maya Angelou were informing him to be careful upon his return to the states. They felt his life was in danger from the FBI. 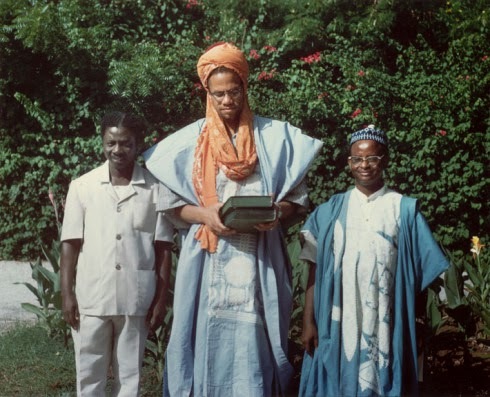 Malcolm in Accra, Ghana, May 1964, holding the Koran given to him by Alhaji Isa Wali, Nigerian High Commissioner to Ghana (right). 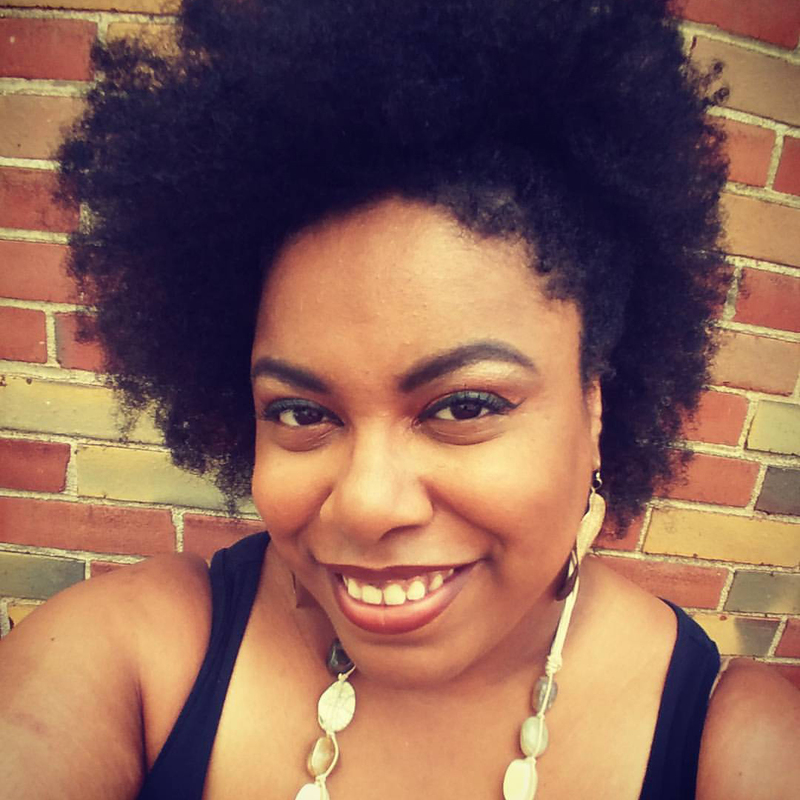 Photo by Alice Windom. 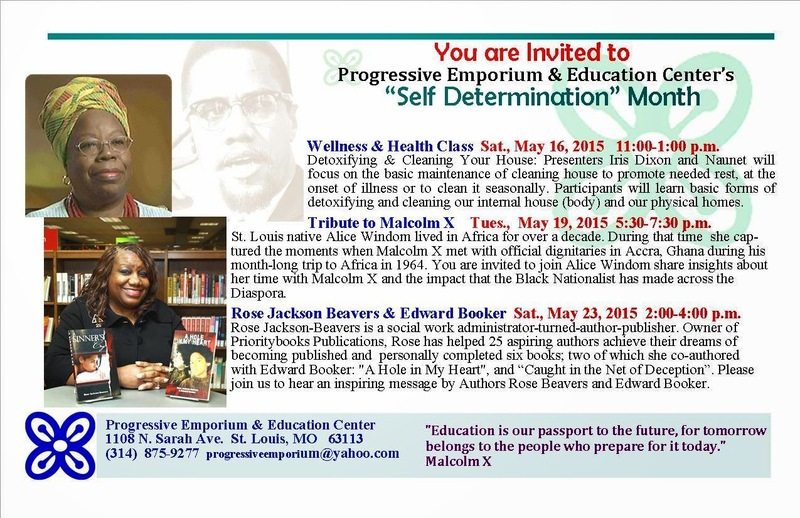 In her lecture she even spoke about the book written about Malcolm's life called The Autobiography of Malcolm X which was written by Alex Hayes and released after Malcolm's death in 1965. She told us that it took her a long time to bring herself to read the book because she was just so traumatized by his death. When she did read the book eventually in the 1970's she realized that there was a chapter in the book that had been plagiarized with HER writings in a certain chapter. 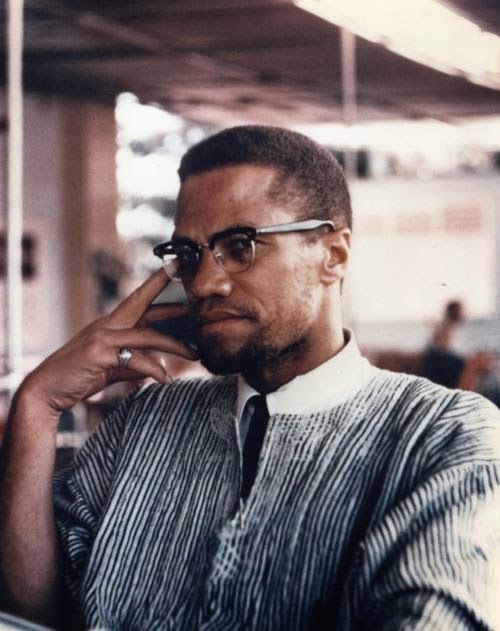 Apparently Alex Hayes had received a copy of a letter that my aunt wrote in regards to Malcolm's trip to Africa. He changed a few words around but when you compare the chapter in the book and a copy of the letter that she wrote she realized that her writings from the letter had been used WITHOUT her permission and more importantly she was never compensated AT ALL. I'm not even sure if she was even credited in the book. The book is considered one of the greatest ever written in the 20th century and a huge influence within movement for African Americans to obtain equal rights during the 60's. It has been translated in over 40 languages and has sold over 6 million copies. As she was talking about this all I could think about was the royalties that she should have received. My respect for Mr. Alex Hayes has also dropped a few notches since learning this. I think he is a brilliant author but to use someone else's work and not give them proper credit, regardless how great of an author you are, you are a thief if you don't give proper credit to a source in a book and compensate them fairly. Another story relayed to us was of Malcolm seeing Muhammad Ali in front of a hotel. She said there was no one else around and Malcolm said hello to him but Muhammad Ali ignored him as though he wasn't there. 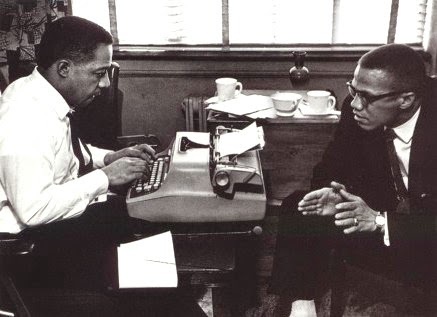 This was after Malcolm had been kicked out of the Nation of Islam. The Leader of the Nation of Islam, The Honorable Elijah Muhammad had forbidden his followers to have any contact with Malcolm. 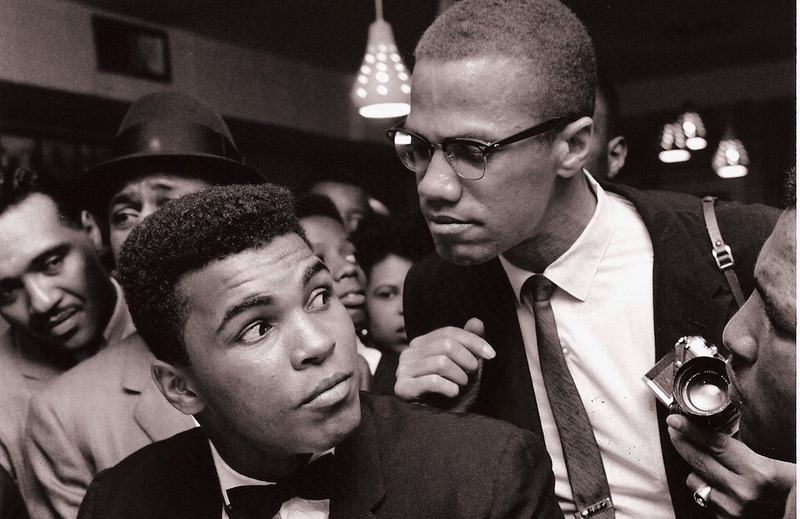 My aunt told us that Malcolm was hurt deeply by Ali not acknowledging him, but he understood. She said that in the movie ALI in which Will Smith played the main role, that particular incident in the movie is a complete fabrication. In the movie it shows Muhammad Ali admonishing Malcolm. She states that was just Hollywood's way of embellishing a situation. Eventually my Aunt Alice wrapped up her talk and answered questions from the audience. My biggest regret was that I didn't have enough time to go home and grab my camera because I wanted to record the lecture. 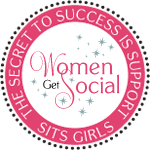 Thankfully my cousin Nola recorded the lecture on her tablet and I have uploaded it to my Youtube account to add to this blog post. The picture quality is not steady but that's ok. My main concern was the speech. It's about 1 hour and 30 minutes long. It took a few hours to upload but well worth listening to. Overall I had a wonderful time. My Aunt is a wonderful storyteller and I'm so glad I was able to hear her story.